RoboSlam participants with Ireland’s Junior Minister for Social Protection, Kevin Humphreys. Dr Ted Burke and a team of staff and students composed of Damon Berry, Shannon Chance, Frank Duignan, Tasya O’Connell and Shane Ormonde delivered a RoboSlam workshop for primary school kids at the two day Tech Week event in Dublin Castle on Thursday 30th of April. In all, 24 children from a primary school in Foxrock were given an opportunity to build Sumo Robots as part of the Tech Week activities. There was lots of interest from other visitors to the event. The two day Dublin Castle event, which is organised by the Irish Computer Society and supported by Science Foundation Ireland, also included a competition for junior social entrepreneurs, the Irish finals of the F1 in Schools Challenge and the national finals of the Scratch coding competition. RoboSlam participants with the RoboSlam volunteer team. 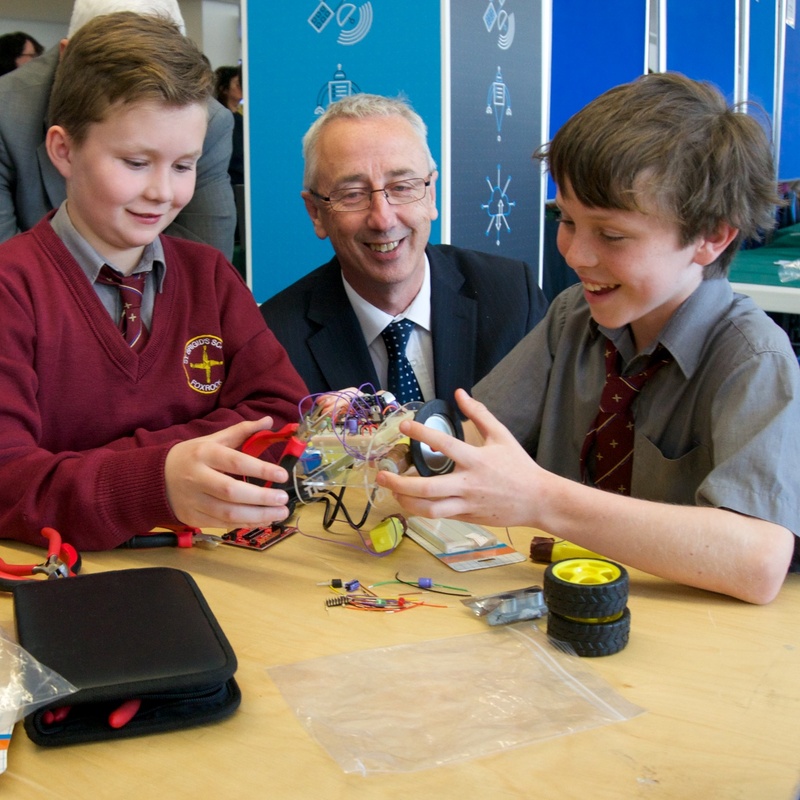 During the course of the day the RoboSlam workshop was also visited by Junior Minister for Social Protection, Kevin Humphreys. Finally RoboSlam team member Damon Berry was interviewed for RTE’s Tech Central Digital Radio programme. The RoboSlam team will be back in action this week (11th-15th of May) when they participate in the week-long DIT-hosted Engineer Your Future event which is sponsored by Engineers Ireland. A glimpse of what our RoboSlam crew has been upto lately….